Jennifer is a professionally trained, seasoned cook whose personal culinary experiences of the past 25 years have largely shaped her views about the power of food to nourish and to bring people together. Her cooking emphasizes the use of local, seasonal and sustainably grown produce that contribute to good health and well-being. At the heart of Jennifer’s approach is a simple idea: good ingredients, good technique and good planning are the essential elements for families to prepare good, home-cooked meals. 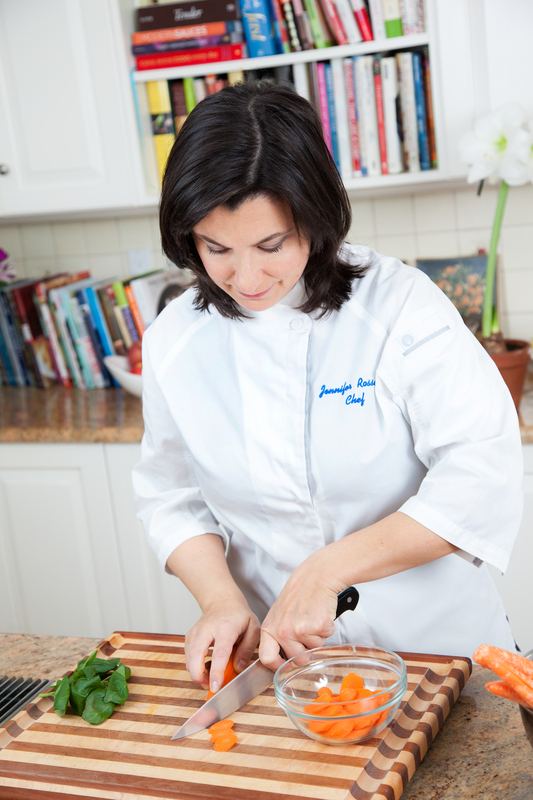 As a culinary educator, Jennifer focuses on the practical building blocks to success in the kitchen - what she’s coined as “The Three P’s” - Pantry, Plan and Prep. She chooses recipes that highlight indispensable techniques that are the backbone to everyday cooking. She will arm you and your family with the knowledge and skills you need to eat well, no matter what level of culinary experience you bring into the kitchen. Jennifer is passionate about creating meaningful food experiences for consumers in the kitchen, in the shopping aisles and in the media. In addition to being an accomplished cooking instructor, food writer and entrepreneur, Jennifer works with food-centric companies to fill a variety of business needs. Her special sauce is a blend of communications and marketing expertise mixed with deep insights about food and cooking. She adds value by meshing creative and strategic thinking to deliver enhanced consumer experiences across multiple media and retail platforms. She has a soft spot for brands that champion education, wellness and sustainability.